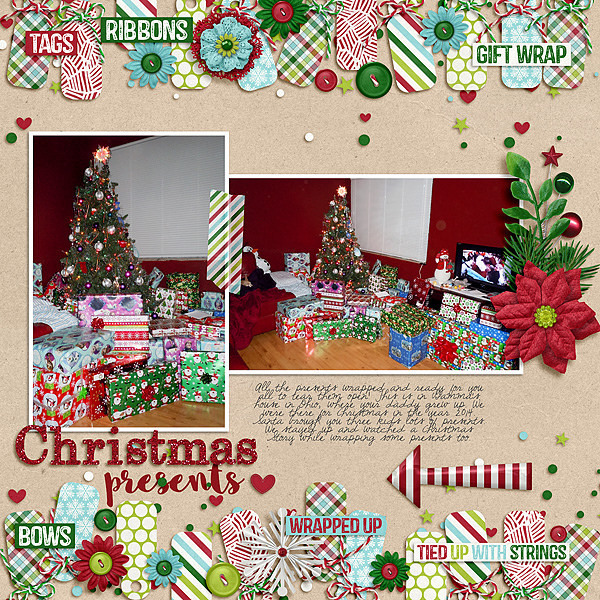 Fuss Free: Tag You're It 7 and Fuss Free: Tag You're It 8 feature a variety of tag shapes and sizes to show off your papers and photos in style! 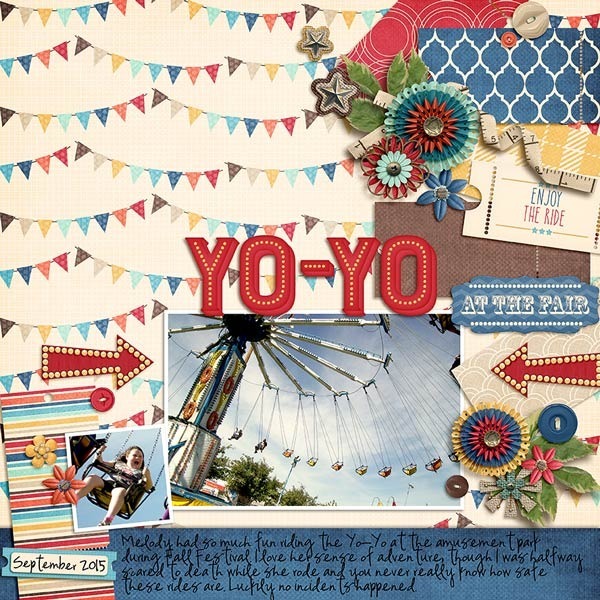 Intricately layered, these templates are perfect for a variety of memory keeping layouts. 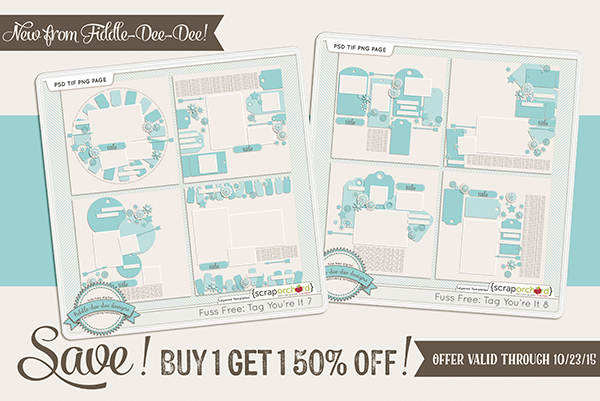 These templates are Fresh Fruit priced at 20% off for the first week of release, only at Scrap Orchard! If you buy Set 7, you'll get Set 8 for 50% off the original price! 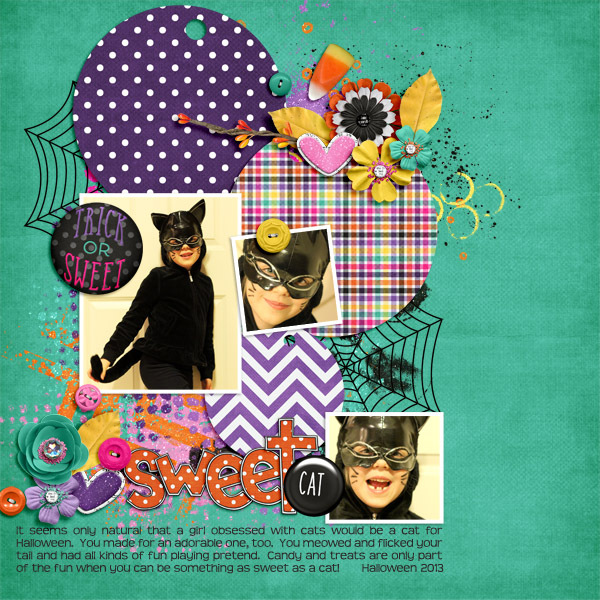 Buy together and save now through October 23, 2015! 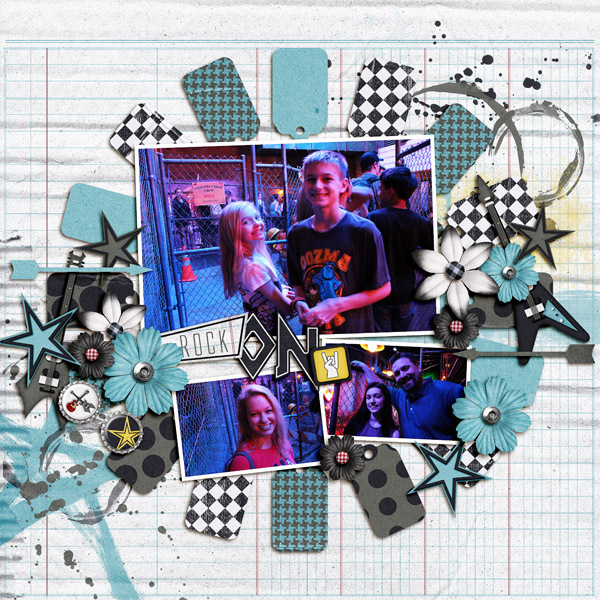 For completing each challenge, you’ll earn 5 points. 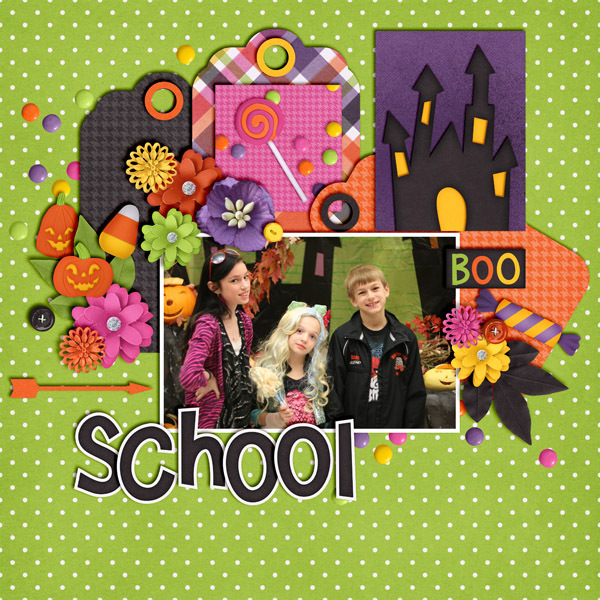 If you complete each of the four challenges (one per week), you’ll earn 20 points. Also, you can earn 5 points for each chat you attend (the October Featured Designer Chat, the Appletini Slumber Party, the Chicks, Chats and Chances Chat, and the October Q and A Chat). If you attend all four chats, you’ll earn a total of 20 points. 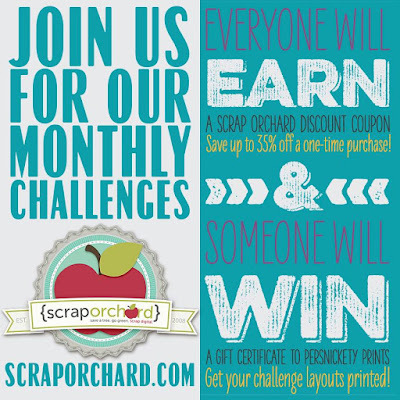 The more points you accrue by completing challenges and attending chats, the better your chances are of winning the $25 gift certificate to the Scrap Orchard Market! 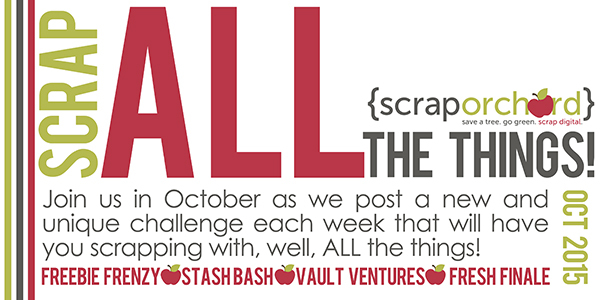 The third Scrap All The Things Challenges have been posted! Be sure to head over to the Challenges forum to get all the details on this week’s challenge, and be on the lookout for a new challenge each week.